Gourmet flavored coffee taste okay? Would gourmet flavored coffee in can taste good? The first thing you would think is what is gourmet flavored coffee? You either have gourmet coffee, or you buy flavored coffee, so what is this term all about? When we buy gourmet coffee, we know we are buying espresso coffee or its variants such as cappuccino and the likes. This term came from how baristas called their machines -gourmet coffee makers. This gourmet flavored coffee in can is a totally new world. They cannot call the coffee, gourmet or specialty coffee, because it is not roast and ground, it is factory produced. But, because it is make by some of the world's leading gourmet coffee roaster, so they call this gourmet flavored. And this market would be the battle ground for coffee suppliers around the world. Starting with Nescafe that introduces their gourmet flavored coffee blend in cans, other coffee companies followed suit. You have starbucks introducing their own can coffee, and this year you have a launch by Ilko coffee international. Never heard of this company before? This is a big company comparable to Nestle and starbucks. The partners of IlKo are the Illy, recognised by the world as one that serves the best coffee, then you have Coca-cola, the world largest beverage company. With Coke joing the fray in the coffee business, one can only start to imagine how lucrative this business is right? According to statistics from CoCa-Cola, this particular market is worth 17 billion, and I guess this is big even for company like coke. Oh, by the way, "this market" that we are talking about is the ready to drink (RTD) coffee market. And different players are using and manipulating different tactics and strategies to conquer the market. 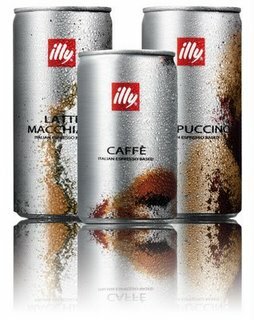 IlKo with this Illy Issimo for example is taking the premium route, using word of mouth and good taste to increase their adoption rate, while we know that nescafe is actively distributed via vending machines. To answer the question if this canned flavored gourmet coffee taste good, it should, if not folks would not spend 17 billion buying it right?